Every year we make at least one trip to Julian in the Fall to experience the leaves changing, cold crisp air, and grab some warm apple pie. 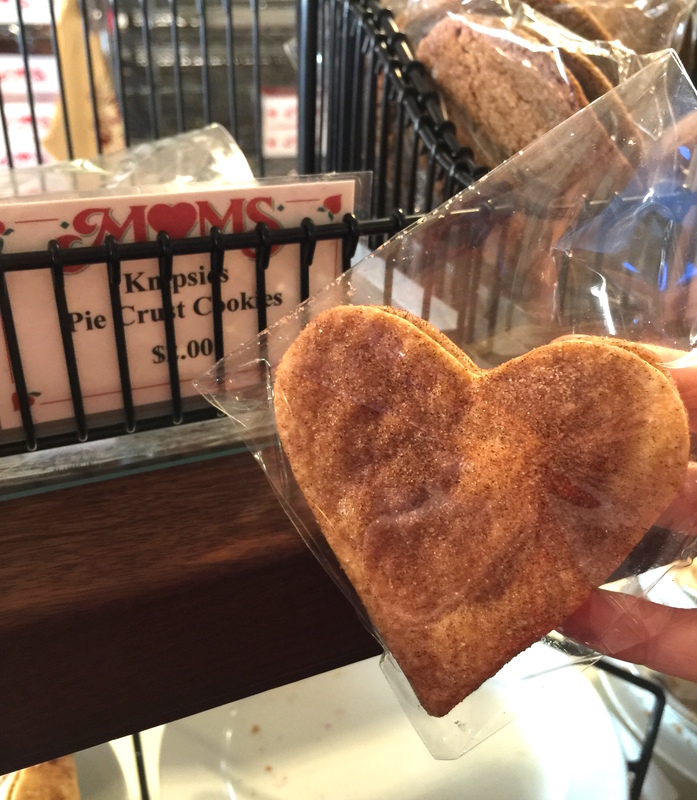 There is an abundance of pie to be found in Julian, but one of my favorite spots is Mom’s Pies. 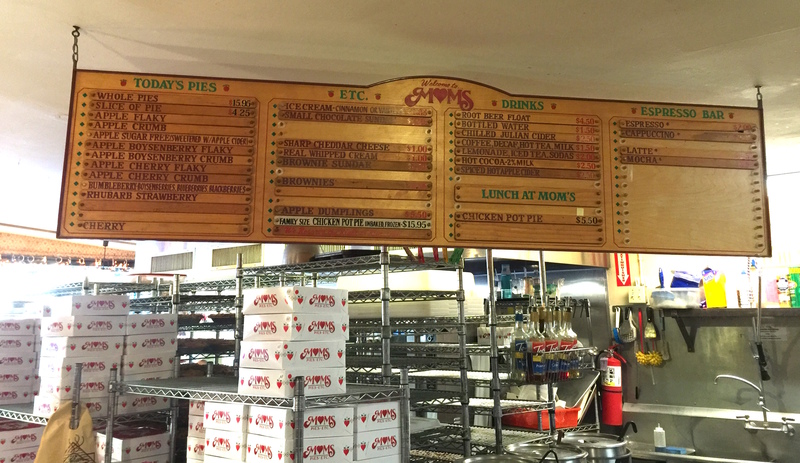 Mom’s Pies have been around since 1984. 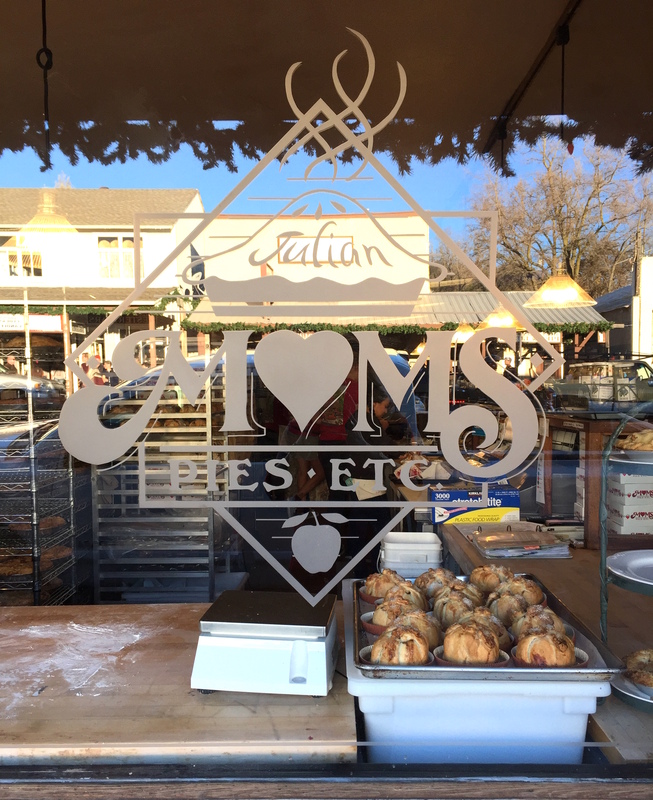 All of their pies and baked goods are made fresh daily. 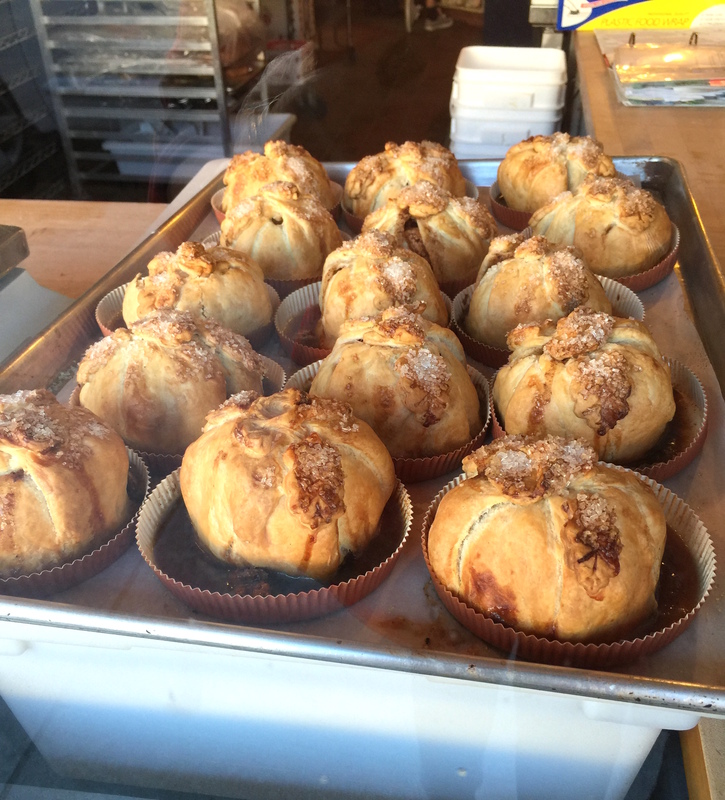 Outside of Mom’s you are wafted with the scent of apples baking. On the weekends, I have always found the line out the door. 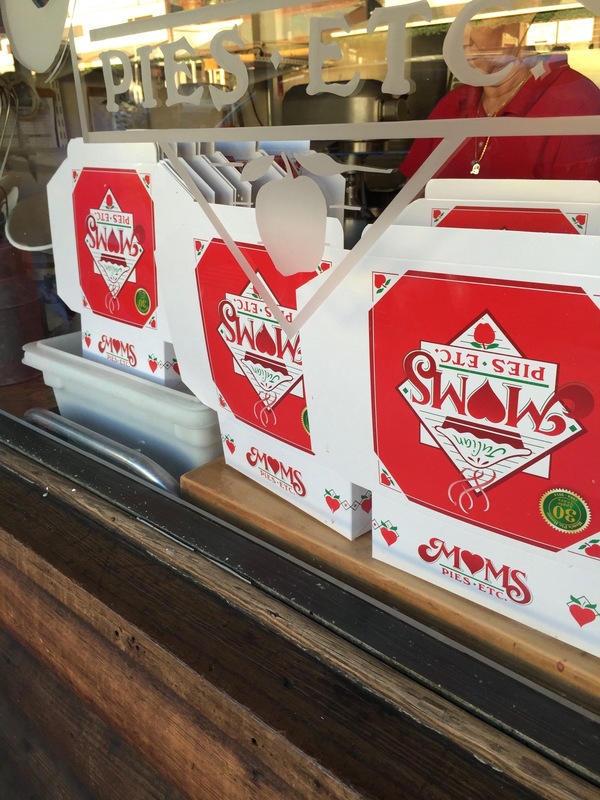 While you wait, you can catch some pies being made from the front window. 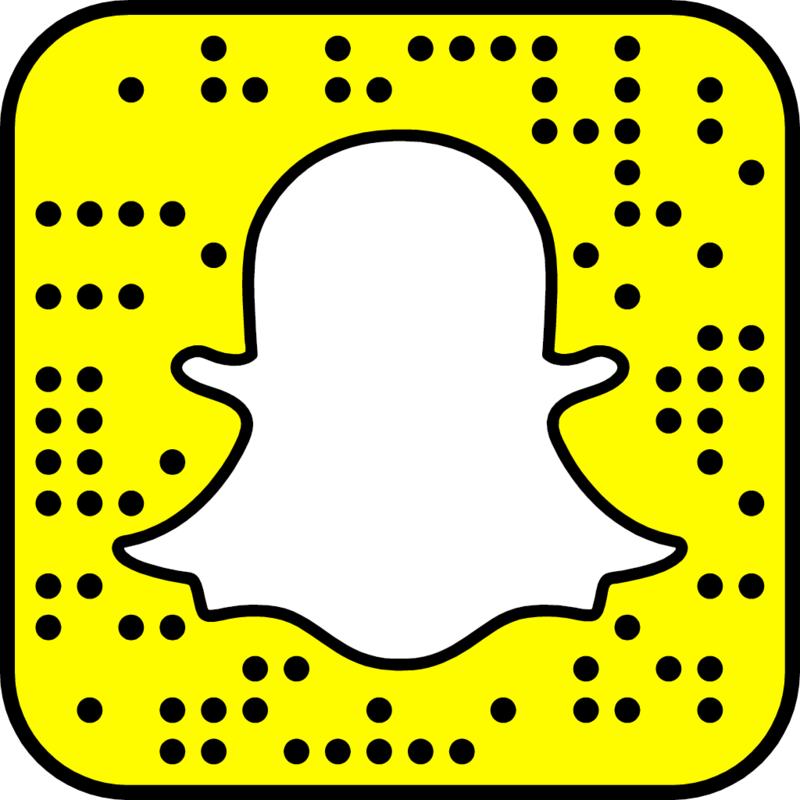 The line moves pretty swiftly so don’t get too comfortable. 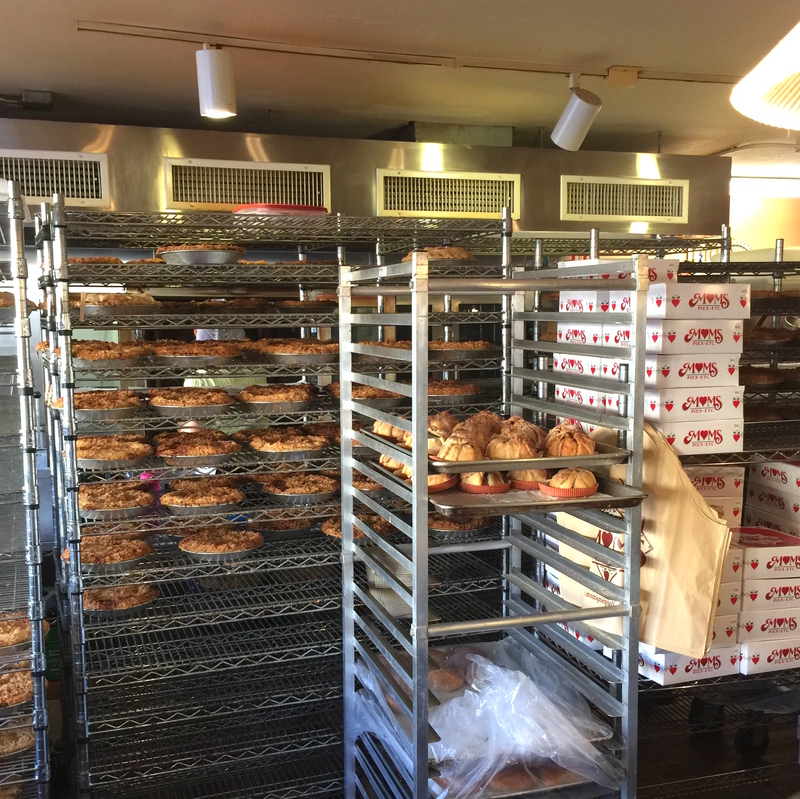 Once inside, you find many racks of pies. As you go down the line on the way to order you see all of the pies on display. Mom’s offers a lot of different pies and serves them up by the slice or you can take a whole pie to go. 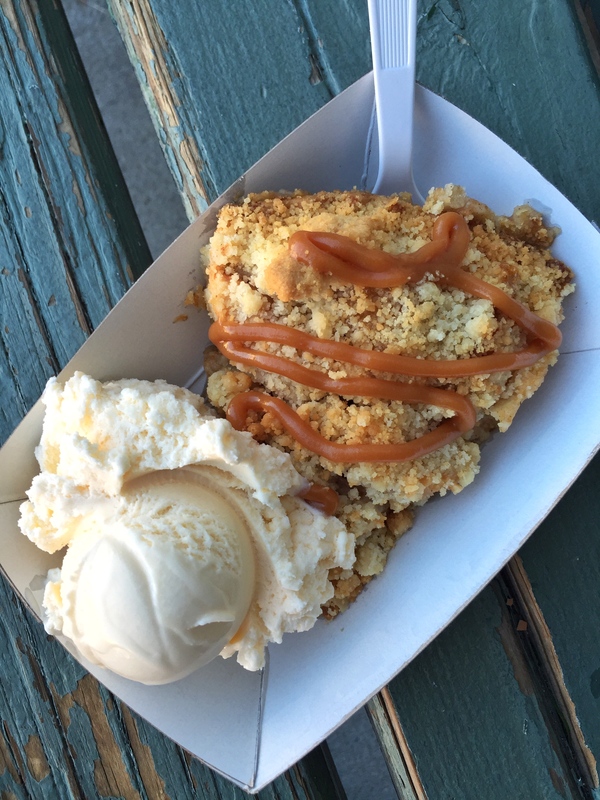 They also serve apple dumplings, cookies, pie crust cookies, brownies and ice cream. If you like coffee with your pie you can get coffee, espresso drinks, hot apple cider, hot cocoa, tea, soda, and even a root bear float. Every year I order the same slice of pie, Apple Crumb a la mode with a caramel drizzle. Vanilla ice cream just seems natural to me with apple pie, but they also offer chocolate and cinnamon ice cream. When it comes to pie and a flaky crust or crumb, it is hands down crumb for me. The crumb gets caramelized once the sugar and butter marry together. What is not to love?! The apples are always tender and complimented by the crunchy texture from the crumble. Caramel Dutch Apple Pie a la mode, mmmmmmm! With the holidays approaching, next visit I am going to get a whole pie from Mom’s and store it in the freezer until Thanksgiving. If you can’t get to Julian, you can order pies online and Mom’s will ship them to you.